This entry was posted in Adventure, Animals, Art, God, Poetry, Writing and tagged 2013, Animals, Art, Art and Life, equine, Faith, God, horse, painting, poetry, stallion, watercolors, Writing. Bookmark the permalink. Mark … lovely poem and painting!!! Charlene, thank you so much! 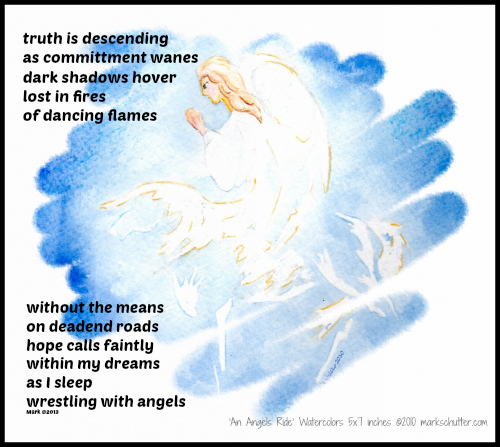 Very nice picture and poem, I love angels! Angels, eagles, anything with wings reminds me of freedom–the freedom to be me, as God made me, not as others want me to be.